Like I said in my last post, winter finally hit us here on the west coast of British Columbia. While we've cruised through a mild winter, the rest of North America has suffered bitter cold and endless snowfalls. But I guess we got a little too smug here and bam! the snow started falling and didn't stop for three days. Lots of people had their electricity go out due to trees falling on power lines. Our electricity stayed on for a change. We live at the bottom of a very steep hill so we couldn't drive for a few days. 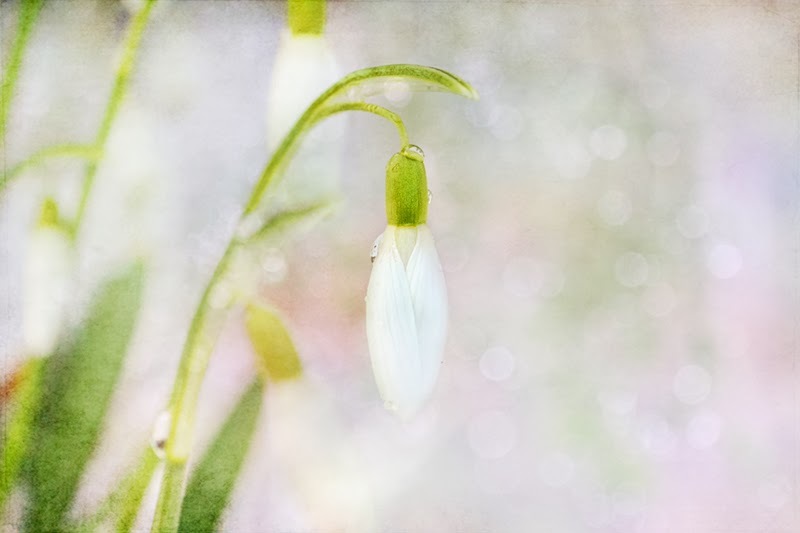 One day I hiked for half an hour or so to some woods where I'd seen snowdrops growing earlier. They were still thriving despite the snow. I guess they're built to do that! You have to admire a flower that can pull that off. Labels: snowdrops snow winter "flowers in snow" "flowers in winter" "winter flowers" "snow flowers" "spring flowers"